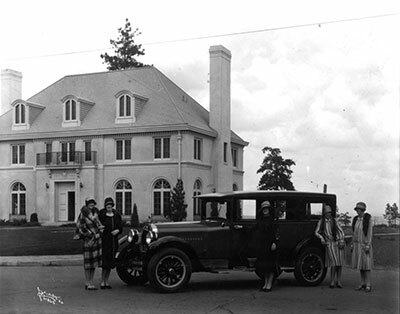 Enjoy one of Spokane's great traditions, the 27th Annual Mother's Day Tour of Historic Homes, presented by the Northwest Museum of Arts & Culture. This year's tour will feature two rarely seen beautiful homes on West Sumner Ave. Homes will be open from cellar to attic, showcasing both families who live there and the history of the neighborhood. You will also be able to see Dorothy Dean's kitchen (The Spokesman-Review famous recipe author), Myrtle Woldson's impressive garden, and great views of Spokane. The tour also includes viewing of historic automobiles, live music, and a self-guided walking tour of the neighborhood. The tour runs from 12-4pm this Saturday, May 7 and Sunday, May 8 (Mother's Day). 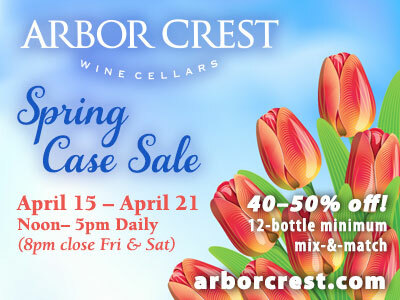 Admission is $20 for non-members, and $15 for members. Tickets available at www.northwestmuseum.org. Tickets will also be sold in front of both open homes during the tour. 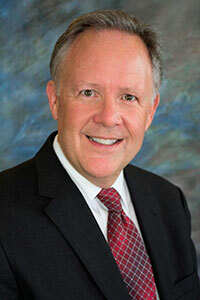 CBS Reporting, Inc. DBA ACRAnet has hired John L. Rogers as Mortgage Service Product Manager. Rogers has over 30 years' experience in the mortgage industry on local, regional and national levels in the retail and wholesale channel, most recently in capital markets. He joins the company at a time the mortgage industry is grappling with the implementation of several significant regulatory changes including TRID (TILA/RESPA Disclosure Act) and Fannie Mae's initiative to introduce the use of Trended Consumer Data effective July 1, 2016. Company President, Nick Warrick states that John's extensive background will enable the organization to better fulfill the rapidly changing needs of their clients. CBS Reporting, Inc. has operated continuously as a Spokane based family owned and operated credit reporting and background screening company since 1903. In 1995, the company formed ACRAnet and established a network of 22 affiliated credit reporting agencies. Today, the number of affiliates is 12, the others having been acquired by CBS Reporting over the past 10 years. Kaiser Aluminum Corporation is making a $150 million dollar investment in its Trentwood plant in Spokane Valley over the next 5 years. Kaiser is making major equipment upgrades designed to increase the plant's manufacturing capacity. Kaiser Trentwood, with more than 900 employees, is the largest flat-rolled aluminum mill in the western United States. R&R RV is moving their Airway Heights store to the former Fred Meyer on East Francis. The new location is spread over 10 acres and will display hundreds of RVs, 15 service bays, a parts and accessories store, and a 100,000 square foot indoor showroom. The new store is scheduled to open next month. R&R RV Group, now in its 27th year, stocks more than 400 RVs and employs more than 140 people. The West Plains Chamber of Commerce's May Membership breakfast is this Thursday, May 5 and will include the West Plains PACE Awards and the West Plains Chamber Scholarship. To be held at the Hargreaves Library in Hargreaves Hall at the EWU Campus in Cheney. Check in is at 7am, program begins at 7:30am. YWCA of Spokane is calling for nominations for its 2016 Woman of Achievement Awards. Winners of this award must embody the mission of the YWCA by giving generously of themselves to make Spokane a better place for all citizens to live. They must also demonstrate leadership through their professional work or service to the community. The YWCA encourages nominations in the following areas: Arts & Culture, Business & Industry, Carl Maxey Racial & Social Justice Award, Community Enhancement, Education, Science, Technology & Environment. Nomination forms are available at www.ywcaspokane.org. 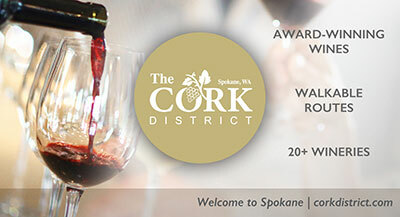 Submit completed forms to development@ywcaspokane.org or by mail to 930 N. Monroe St., Spokane, WA 99201, Attention: Woman of Achievement Awards. The deadline for submissions is June 15, 2016. This year's Women of Achievement luncheon will be at the Davenport Grand Hotel on October 7, 2016, and will feature actress, humanitarian, and advocate for women and children worldwide, Ashley Judd. Established with the goal of increasing community awareness and appreciation for the diverse contributions of women leaders in Spokane, this luncheon has honored more than 200 women in the region. This event has evolved into YWCA of Spokane's largest fundraising events, sponsored by over 25 companies and organizations each year, and is one of the area's most prestigious award recognition events for women. All proceeds directly benefit the YWCA's services for domestic violence victims and their children, including emergency shelter, counseling, legal services, job readiness, child care, and Pre-K programs for low income children. Jewelry handmade by women at the YWCA of Spokane will sell at Tracy Jewelers this Thursday, May 5. The YWCA of Spokane partners with Tracy Jewelers to provide a semi-annual Hope Stones Jewelry benefit. Each unique, one-of-a-kind piece is handcrafted by the women at the YWCA of Spokane and is something you can be proud to wear or to consider as a gift this Mother's Day. The community is invited to see the full collection on May 5 from 4-7pm at 106 N Evergreen, Spokane Valley. One hundred percent of the proceeds go to the YWCA of Spokane safe shelter and housing program which cares for women and children fleeing domestic violence. To support the success and impact of this event, Tracy Jewelers has donated all items needed to create these beautiful jewelry items. John Gonnason has been named Managing Director - Complex Manager at Wells Fargo Advisors, operating out of the Spokane office and covering nine branches located throughout Idaho, Montana, and Eastern Washington, including a new branch opening this month in Kennewick, WA. Gonnason moved to Spokane in 2006 and has grown the territory from 8 people to over 130. In addition to his role in management, Gonnason has 33 years of industry experience and still acts as a full service financial advisor to many long time and new clients alike. With $1.4 trillion in client assets as of December 31, 2015, Wells Fargo Advisors provides investment advice and guidance to clients through 14,960 full-service financial advisors and 3,933 licensed bankers. This vast network of advisors, one of the nation's largest, serves investors through locations in all 50 states and the District of Columbia. Wells Fargo Advisors is the trade name used by two separate registered broker-dealers and non-bank affiliates of Wells Fargo & Company: Wells Fargo Advisors, LLC and Wells Fargo Advisors Financial Network, LLC (members SIPC). Statistics include other broker-dealers of Wells Fargo & Company. Visit www.wellsfargoadvisors.com. This year, two fallen officers will have their names added to the Spokane Law Enforcement Memorial. The ceremony is Tuesday, May 10 at 11:30 at the Spokane County Courthouse Courtyard and is open to the public. Officer Rick L. Silva of the Chehalis Police Department and Detective Brent L. Hanger of the Washington State Patrol both lost their lives in the performance of their duties and their names will be added to the memorial this year. The Spokane Law Enforcement Memorial honors all law enforcement officers who have died or been killed in the line of duty in Washington State. These officers paid the ultimate sacrifice with their lives and left families which their respective communities continue to support. 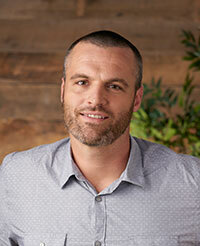 Troy Bishop has rejoined ALSC Architects as an Architect and Senior Designer. With a strong resume in educational and medical facility design, his current assignments include projects for Potlatch School District, Lake Pend Oreille School District and Gonzaga University. Troy earned his Masters of Architecture from Washington State University in 2004. The 'Everything Truck' open house event to celebrate Titan Truck Equipment and Accessories 30 year anniversary will be Saturday, June 4 from 10am to 4pm at 605 N. Fancher Road in Spokane. Event admission is free. Car enthusiasts will see examples of Hot Rods by Titan, plus many of their custom built contractor trucks, utility trucks, law enforcement and emergency vehicles, snow plows, tow trucks and more. Kids will enjoy learning about these vehicles and trucks they see every day working out in the community. With over 50 manufacturer sponsored booths on-site during the event, you'll see new products and demonstrations, and manufacturer's representatives will be there to answer questions. Attendees will also have a chance to win a Silverwood Family 4 pack. Titan Truck Equipment and Accessories began Spokane operations with 3 employees in 1986 selling light truck accessories. Titan continues to expand and they now employ over 40 people, have two 22,000 square foot buildings, and several acres of outside space for product and customer vehicle storage. Titan has become a true regional supplier of diverse products for personal use, contractors of all kinds, and government agencies at every level, with sales coverage from the Cascade Mountains to Billings, Montana; from Boise, Idaho to the Canadian border and all points in between. Idaho Central Credit Union (ICCU) has been named as the Best Place to Work in Idaho in the large corporation category for the fourth year in a row. Winners were selected from an employee satisfaction survey conducted by POPULUS, a marketing and research firm. This is the ninth year for the program and they reported a record number of entries. Participating organization's employees take a confidential survey that covers the following topics: compensation and benefits, work environment, company management, employee growth and development, and work-life balance. The businesses that score in the top ten in each category are named the Best Places to Work in Idaho. Last month, S&P Global Market Intelligence also ranked Idaho Central Credit Union the number one best-performing credit union in the nation for the fourth year in a row. Idaho Central was organized as a state chartered credit union in 1940. The credit union's administrative office is located in Chubbuck, Idaho. Idaho Central has 700+ employees serving over 225,000 members with 27 locations throughout the state and over $2.4 billion in assets. Idaho Central is a full-service, federally-insured financial institution. For an Idaho Central location near you, visit www.iccu.com.